'Will & Grace' Creator Says He's Donating John Oliver's Gay Bunny Book to Every Grade School in Ind. 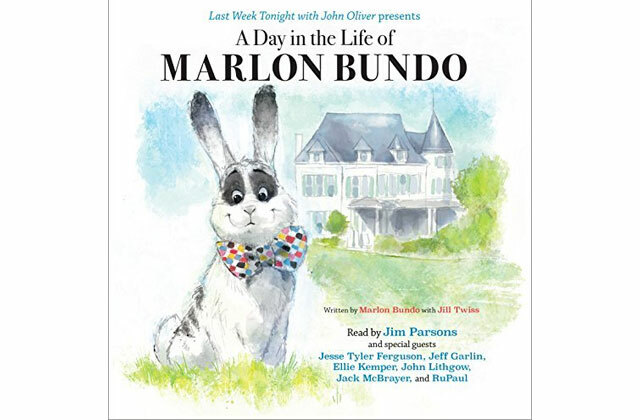 (EDGE) One of the creators of "Will & Grace" was so smitten with John Oliver's gay bunny book - a parody of Vice President Mike Pence's children's picture book - that he is donating a copy to every grammar school in Indiana. Taking to Instagram over the weekend, Max Mutchnick said he bought several copies of Oliver's "A Day in the Life of Marlon Bundo" in order to donate them to grammar school libraries across Indiana, where Pence served as governor before becoming vice president to Donald Trump. "I was blown away by the new John Oliver children's book," Mutchnick wrote on Instagram. "...I decided to buy a copy of Oliver's 'Bundo' (written by Jill Twiss) for every public grammar school in Indiana. All 1,121 of them." The producer went on to explain why he felt the state's grammar schools need the book. "Mike Pence has had an enormous platform in Indiana, and as it relates to gay people, he's used it to spread a message of intolerance," Mutchnick wrote. "By donating these books, I hope to counter those efforts and provide positive role models and a story of inclusion for children in Pence's home state." "If this book can help one boy or girl in Indiana love and accept who they are, I know both Marlon Bundos would be proud - even though one of them is on the downlow," he added. Oliver's book parodies Pence's book, making fun of the vice president's terrible views on LGBTQ people. Oliver's book went on to outsell Pence's book, selling over 180,000 copies and topped Amazon's best-seller list. Even Pence's own daughter showed support for Oliver's version. Check out Mutchnick's post below.